From personalities and entertainers Kian Lawley and Jc Caylen comes a completely wild and entirely true account of their rise to internet fame: Kian and Jc: Don’t Try This at Home! More than 7 million YouTube subscribers, 5 million Twitter followers, and 5 million Instagram followers cannot wait for this sometimes hilarious, sometimes awkward, and always crazy collection of stories, interviews, and exclusive photos. KIAN AND JC: DON’T TRY THIS AT HOME is exactly what fans of the YouTube stars are hoping for: some background story on how Kian Lawley and Jc Caylen grabbed hold of internet fame, and a glimpse into their future plans. Kian and Jc share a bit about their personal lives, and there are also a lot of photos of the two. 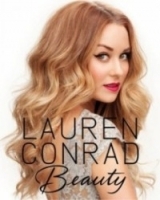 The book is sometimes silly, occasionally insightful, and always all about Kian and Jc. With large type and big pictures, this book is a quick read, and the format makes it quite accessible. In the book, KIAN AND JC take turns giving their personal backstories, and in the pictures we get to see them as adorable children (they were both ridiculously cute babies). They then tell the story of how they met in person and then both ended up in LA and working together—and what happened from there. Kian and Jc also answer questions for their fans, “Do you believe in aliens?” and “Beef or pork?” are two of them, and the book ends with an imagined interview with older versions of themselves. Billed as a present to their fans, KIAN AND JC: DON’T TRY THIS AT HOME is exactly what it promises. 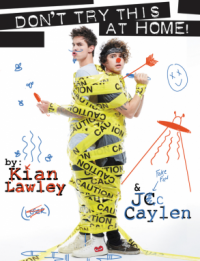 It won’t win any literary awards, but it will make millions of people who love Kian and Jc very happy.